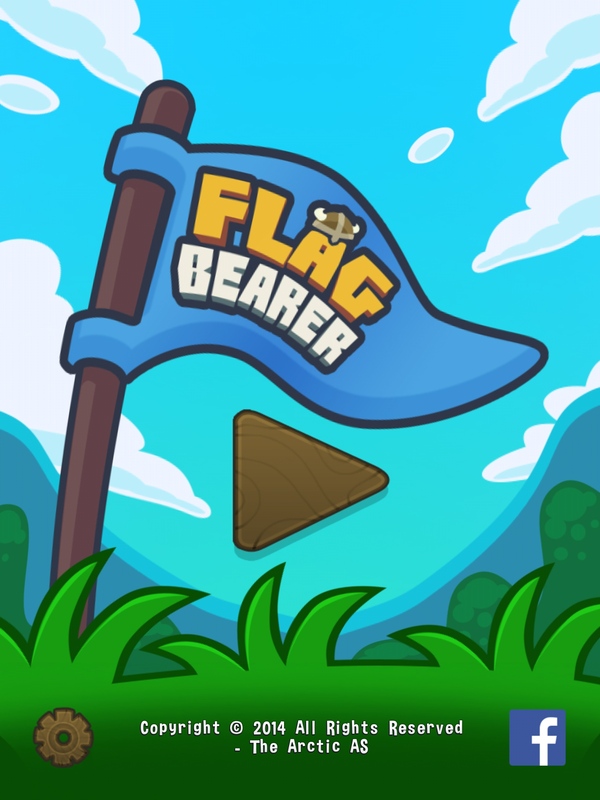 The Flag Bearer, developed by The Arctic AS, is a game starring a cute little viking who’s out to conquer some land. The player is presented with a series of increasingly complex grid based levels, where they are tasked with planting a flag on every open square and then exiting the level. 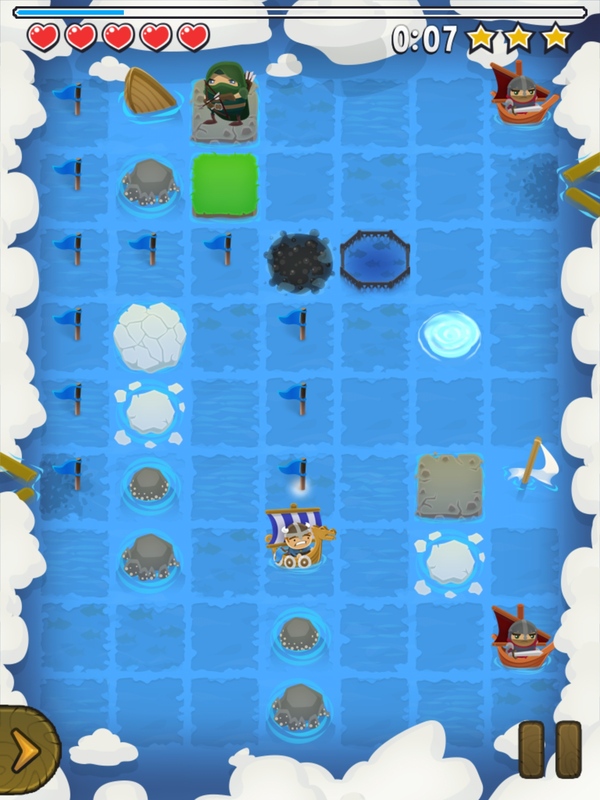 The viking automatically places flags on any tile he visits, so controls are as simple as swiping in the direction you want your character to move. There is no learning curve to the controls, and so The Flag Bearer is easy to pick up and play. The game is an absolute joy to experience, with a great soundtrack and a fantastic art style. The Flag Bearer has a lot of charm in its presentation, with little touches that give the impression that its creation was a labour of love. A great example of this is how the player and all the enemies are riding little boats in the water levels in the game. It doesn’t change up the gameplay in any way, but this kind of graphical diversity helps the game feel polished, and the world feel alive. Unfortunately, the rest of the game doesn’t hold up to the same high standards as the presentation. The Flag Bearer at its core suffers from an identity crisis, it can’t decide whether it wants to be a puzzle game or an action game, and instead fails at being either. 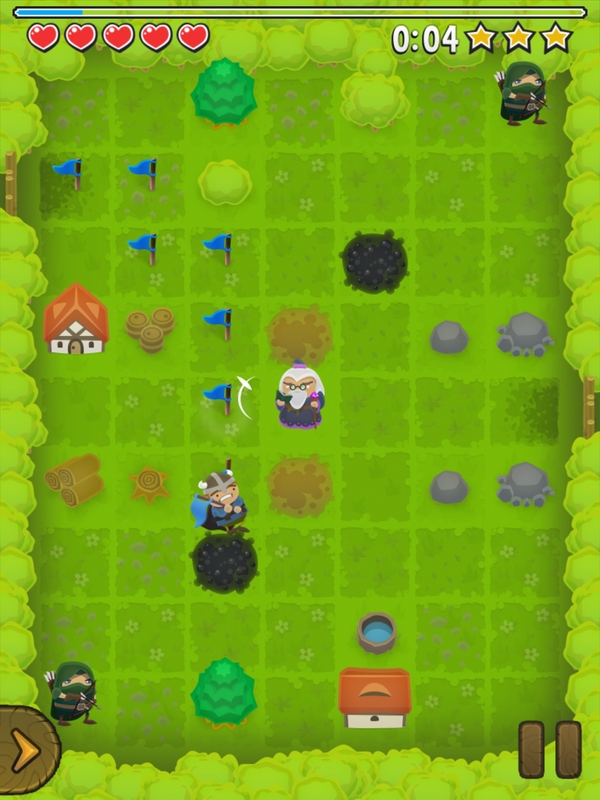 The game controls like a puzzle game, with both the player and enemies limited to slow turn based movement taking place on a grid. However there are no puzzle elements to the game, it is always very clear how to get to the end of a level. 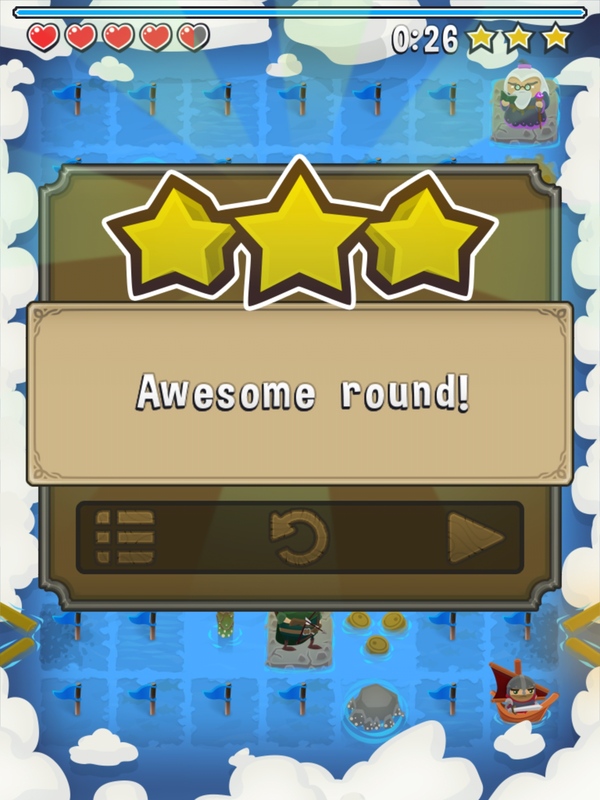 Instead, the challenge lies in dodging enemies or using power-ups to vanquish them, just like in an action game. The end result is a gruelingly slow paced action game. 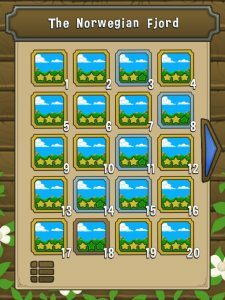 It feels like you’re playing the game in slow motion, which results in a non-existent level of challenge. This means The Flag Bearer never presents any compelling gameplay to the player, and though there is a decent amount of content on offer, with multiple levels spanning four different environments, there’s very little incentive to play through it. 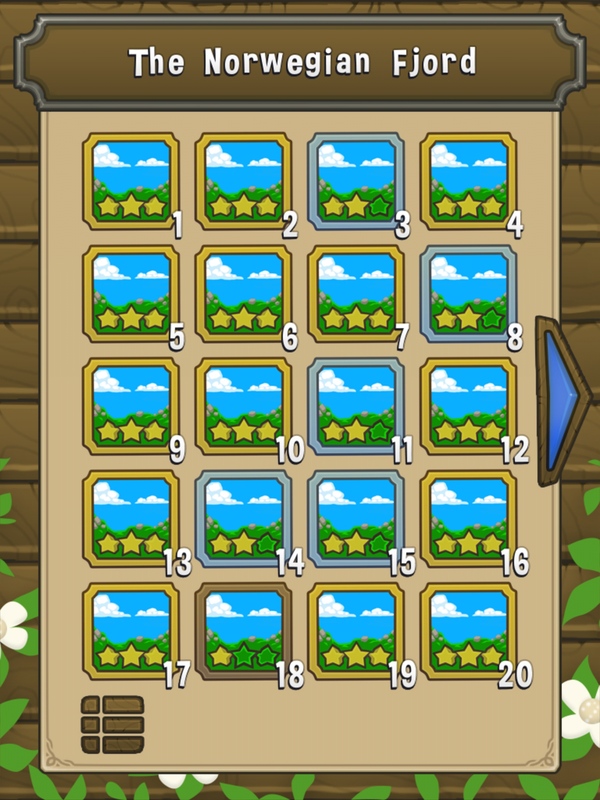 The game starts of slow and never picks up from there. It’s a shame that The Flag Bearer’s gameplay is so flawed in its basic design. The game has heart, and players really will want to love it, but given its problems it’s hard to recommend. The Flag Bearer requires iOS 6.1 or later. Compatible with iPhone, iPad, and iPod touch. This app is optimized for iPhone 5. Follow Tapscape for the latest iPhone app reviews.